Paul Cook Master Thatchers specialises in re-thatches, large and small thatch repairs , ornamental work and new builds at affordable prices. Working across the local Devon area, Paul Cook Master Thatchers has built a reputation of excellent craftsmanship and have 22 years of experience. 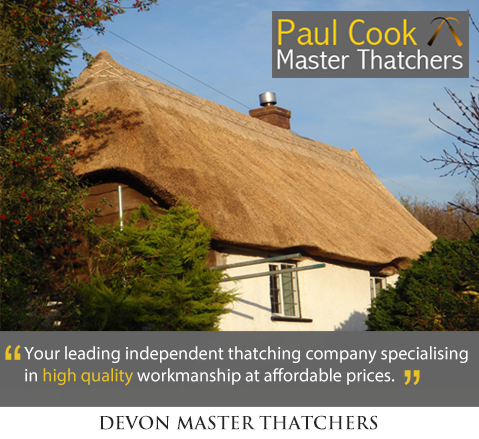 Paul Cook Master Thatchers provide both domestic and commercial thatching services across the South West of England. Paul Cook Master Thatcher offers a service for domestic and commercial thatching. Thatch is highly energy efficient, and offers excellent insulation and keeping houses warm in winter and cool in summer.